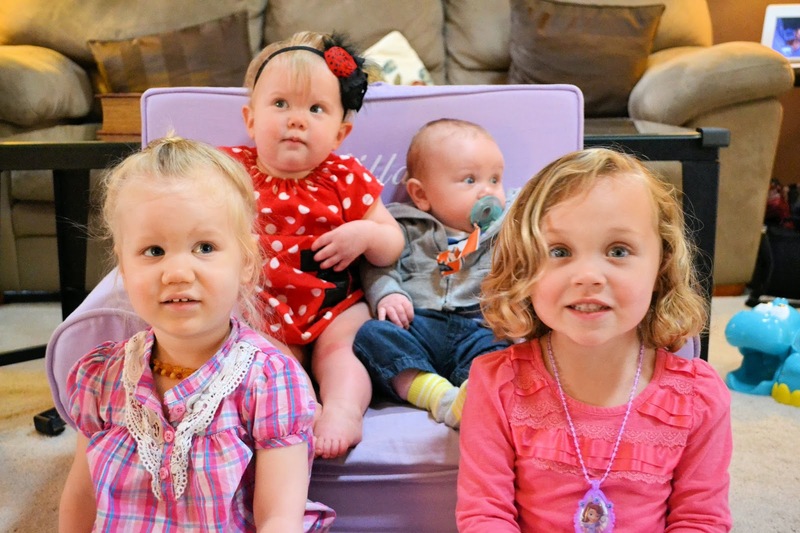 Willa's cousins came over for her birthday party. We decided to try to get a picture of all of them together. It was impossible to get one picture with all of them looking in the same direction while sitting still. I actually love this one with them looking in different directions because they had about 10 adults calling their names from different sides. No wonder we couldn't get them to all look in one direction.